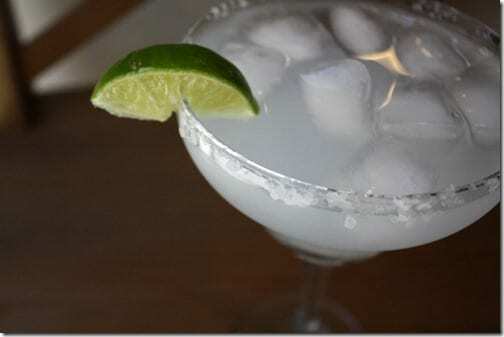 Since Bethenny already has the Skinny Girl Margarita covered and we all know I’m no skinny girl anyways, I thought I’d create a Lazy Girl Margarita for the rest of us. It’s lazy because I just used the random stuff I had already. No need to put on your heels to drink this baby! Directions: Slice lime and rub around rim (TWSS). 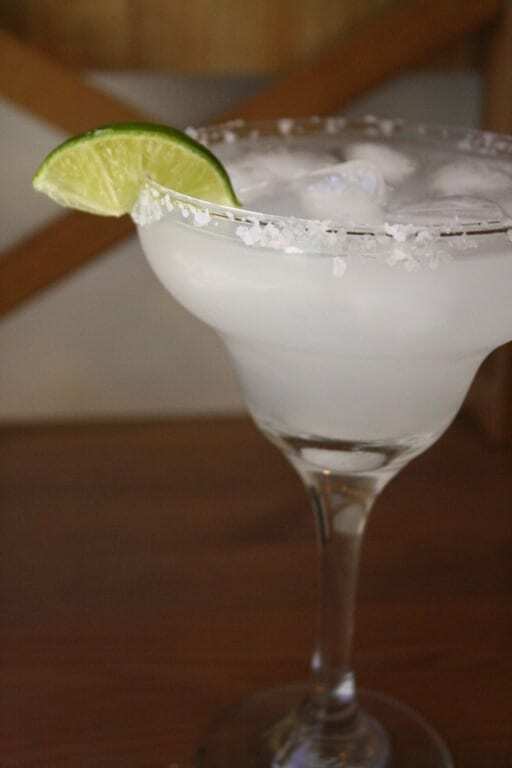 Dip rim into salt to coat. 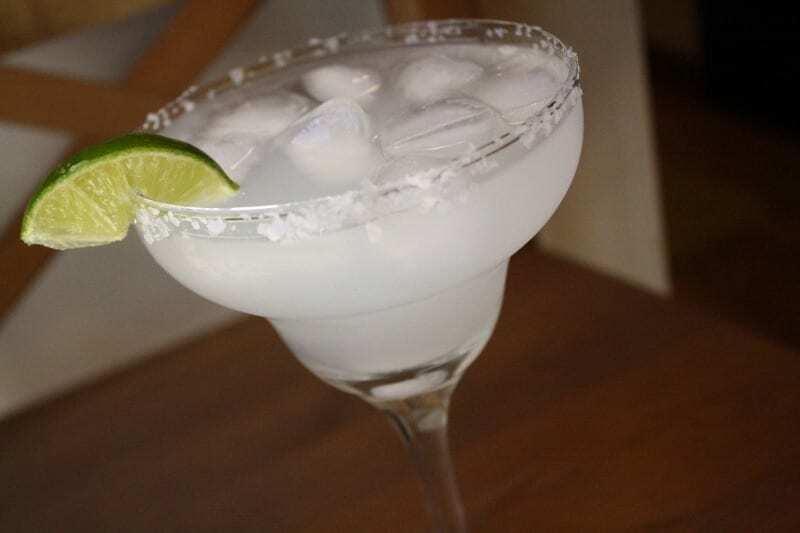 Pour lemon drink, tequila, a splash of seltzer and squeeze of lime in margarita glass. 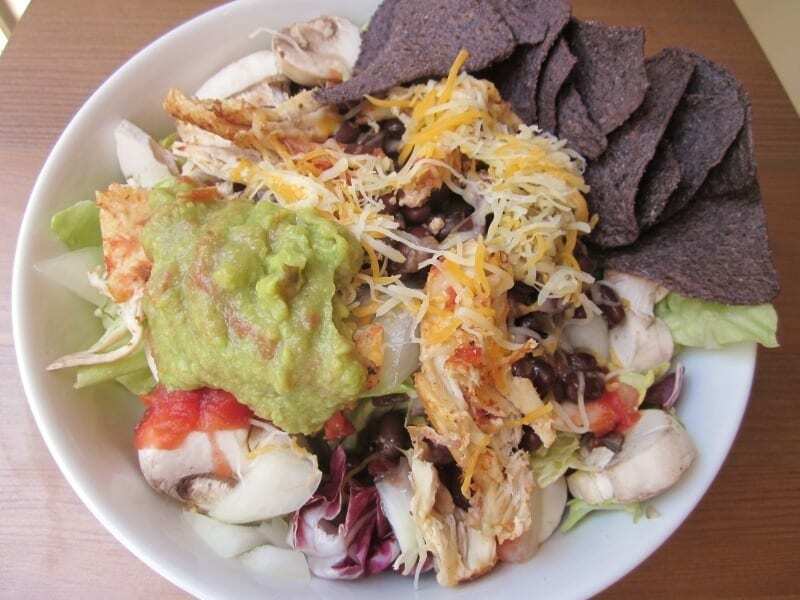 Serve with copious amounts of chips and guacamole. God Bless America Mexico. I also celebrated Cinco de Mayo with a MASSIVE Taco Salad. 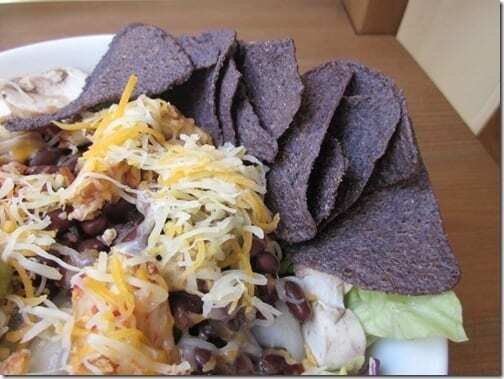 It was piled with black beans, chicken, salsa, guacamole and cheese. I think there might have been lettuce on it, but I’m not sure. 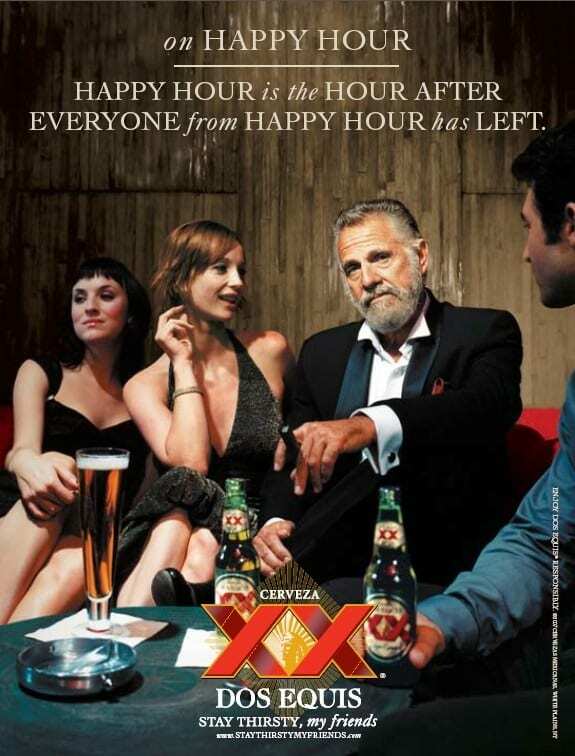 Now I’m off to enjoy my Lazy Girl Margarita with the most interesting man in the world. Give up cheese? huh? I don’t even know what that means. I put myself through a cheeseless challege for a week (ending tomorrow). I LOVE cheese, but it was a good way to control the habit a little and see that I food tastes good without it! Love the lazy girl margarita, delicous! give up cheese? is that a joke?!? Love that margarita. 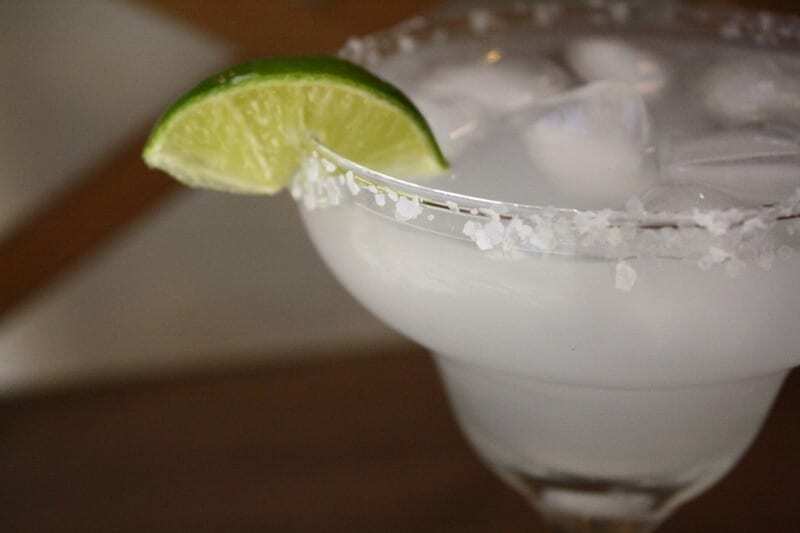 It looks so inviting, in the pretty glass with the salt and lime. Since I don’t NEED the sugary mixer (probably don’t NEED the tequila either, but that’s another story), I made my drink with ice-cold Fresca, lime juice and tequila. 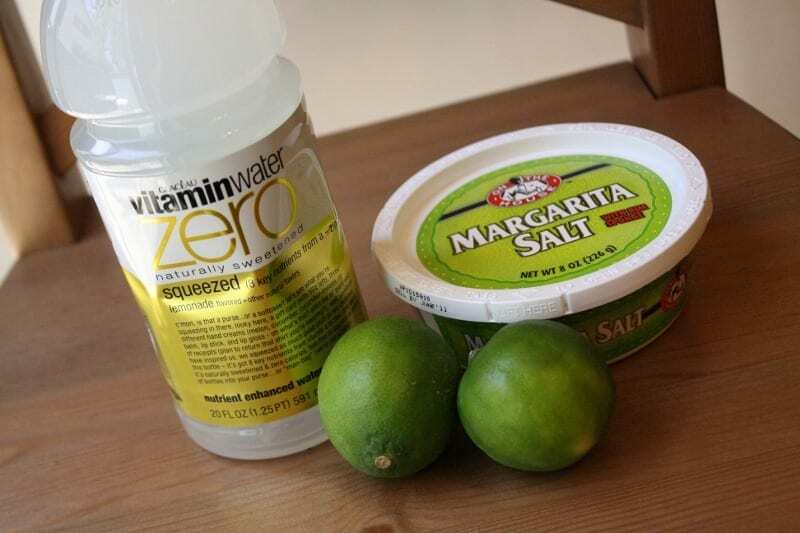 I have also been known to use a lemon/lime Nuun tablet instead of the Fresca. 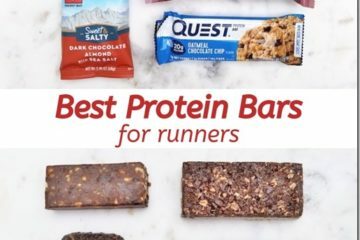 Love this recipe – how awesome! You’re my hero, for realz. Vitamin water zero is my go-to mixer for vodka cocktails. Of course it would make a great margarita! tequila and I do not mix well, as proven last night. But I just love margaritas! 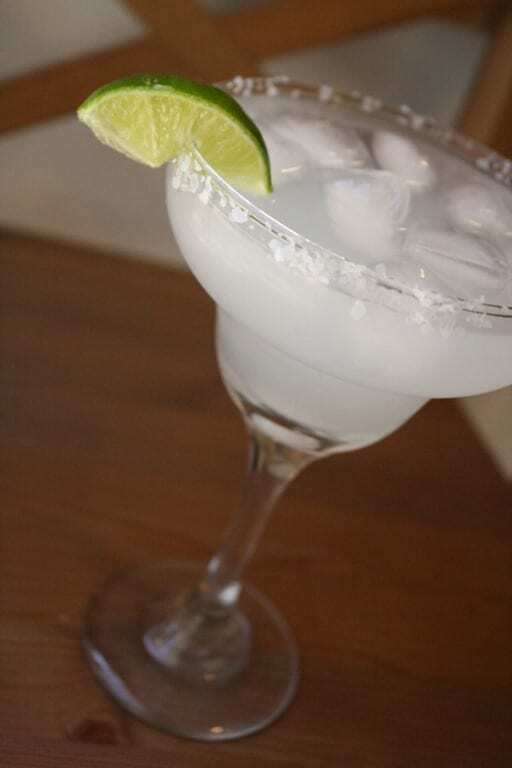 you’re genius… I love margaritas and this is just what I needed today! Um… giving up cheese? As in forever? I couldn’t do that if you paid me! Yum…that drink looks delicious, and so does your taco salad!! 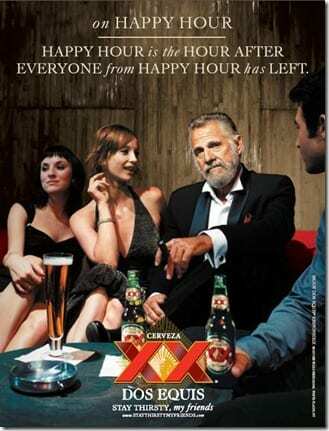 Now I want a margarita. That sounds like the prefect margarita recipe…simple and refreshing. I made my own variation of a margarita tonight too! We did have tequila but no triple sec so I improvised with coconut rum. Just as delicious! Happy cinco de mayo!! Great idea for the recipe. Love it! Too funny that you used vitamin water. What an awesome margarita. And that taco salad looks heavenly! 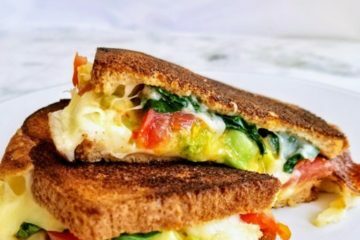 give up cheese or all dairy? I could do the cheese, but never the yogurt and ice cream. bahh i have skinny girl in my fridge! 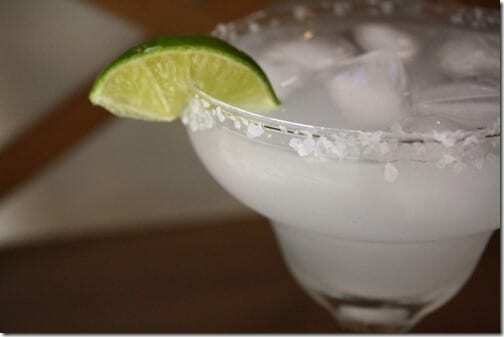 but if i didn’t, i would DEF be making this lazy girl marg tonight 😉 there’s always next week….